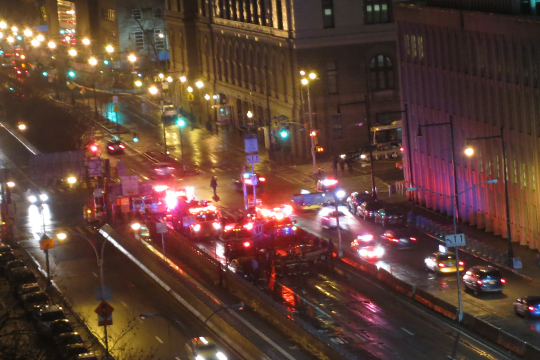 There is a large car crash at the entry to the Brooklyn Bridge at Tillary St. I hope everyone is okay. Bad crash on the Brooklyn Bridge.